Murray Pittock is Bradley Professor of English Literature. 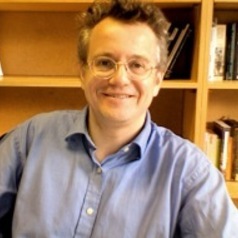 He has formerly held senior appointments in Scottish and English literature at the universities of Manchester, Edinburgh and Strathclyde, and has had visiting appointments at universities including New York University, Charles University, Prague, Centre for Advanced Welsh and Celtic Studies, Trinity College, Dublin, Auburn and Yale. He is a Fellow of the Royal Society of Edinburgh, the English Association, the Royal Historical Society, the Royal Society of Arts and the Society of Antiquaries of Scotland among other bodies. Murray's books are set on courses in English, History, Irish Studies, theology and politics in leading universities in around twenty-five countries, and he has been awarded or shortlisted/nominated for a number of literary and historical prizes and prize lectureships: in 2002 he was British Academy Chatterton Lecturer and in 1992-3 held the Royal Society of Edinburgh's BP Humanities Prize.